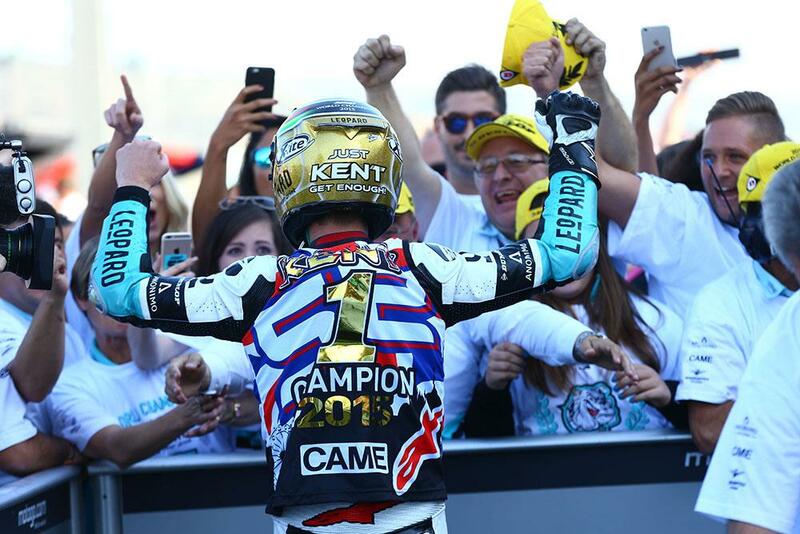 Some of the top names in British motorcycling have taken to Twitter to congratulate the first British Grand Prix champion in nearly four decades after Danny Kent lifted the Moto3 crown yesterday at the Valencia season finale. Led by his fellow 2015 world champions Jonathan Rea and Tai Woffinden, the universal praise from fellow riders, team bosses and race organisers pay tribute to both the magnitude of his achievement and the incredible pressure a string of poor results have placed on the 21 year old’s shoulders in recent weeks. @DannyKent52 I speak for the whole family when I say we couldn't be happier that it's you take the mantle from Barry :) Congratulations.